Weighty Matters: Sorry Oprah, apparently only white women can work it off. 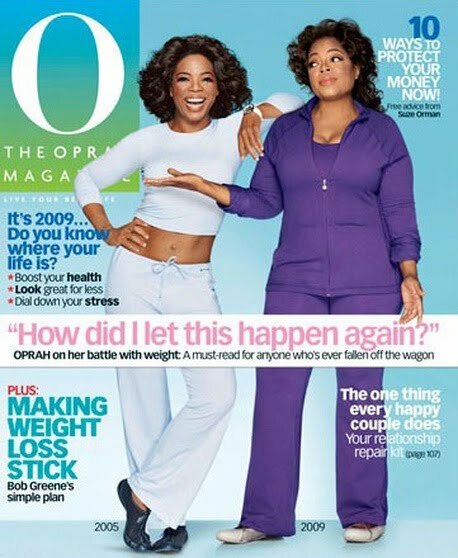 Sorry Oprah, apparently only white women can work it off. I admit my confirmation bias has exercise being a very minor contributor to a person's overall weight - at least in terms of a direct effect. There's no doubt that exercise plays a major role in weight management, but I feel that it's primary role is to support a healthy living attitude. Anyone who's ever trained hard for anything knows it's a great deal easier to think about healthy eating and healthy habits when you actually feel health than when you don't, and exercise certainly confers a sense of health. Of course not everyone shares my views and there are many folks who think I'm dead wrong and that exercise is the bomb for weight. Some of these folks have been pointing for a few days to a study published last month in the Journal of Epidemiology and Community Health as proof of their assertion. The study looked at 12,227 men and women between the ages of 20-64 between the years 1999 and 2006 and compared their weights to their degree of leisure time physical activity. dose‑response relationship" between leisure time physical activity in women, but not men. Oh, and not all women, only white women. So really, if anything, the study demonstrated that exercise correlated with decreased rates of obesity in white women and absolutely nobody else. Of course even with white women, correlation does not imply causation. Amazingly the authors didn't bother to control for the major variable of weight - diet. Could it simply be that the white women who exercised the most also ate the best? Sure sounds possible to me. Could it simply be that lighter white women enjoyed exercise more simply because they were lighter and that the heavier a woman was, the less they enjoyed leisure time exercise and therefore the less they did of it? And what happened with men? Or with black and Hispanic women? If exercise truly impacted on weight certainly you'd expect to see across the board significance, yet here, it's just white women. Ultimately this study adds absolutely nothing to either side of the argument of exercise's role in weight management and its publication serves only to appease the confirmation biases of those folks who are exercise's true believers and to further shake my faith in peer review. No doubt exercise is great for your health, no doubt exercise is crucial in maintaining weight loss, lots and lots of doubt that exercise alone in real world experiments does much to help lower or maintain weight, and this study doesn't do anything to dispel any of it.